An overturned car at Tal-Barrani. 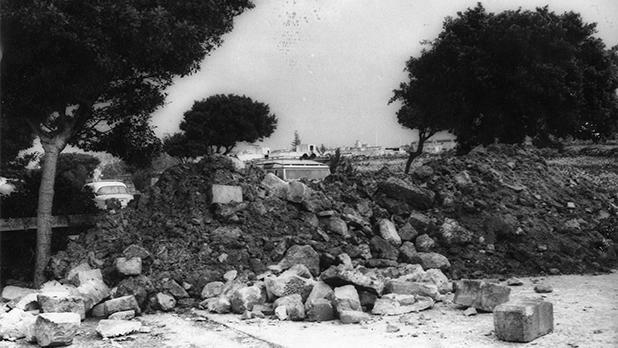 Walls were demolished to create barricades to block access to Zejtun. All roads to Zejtun were blocked. 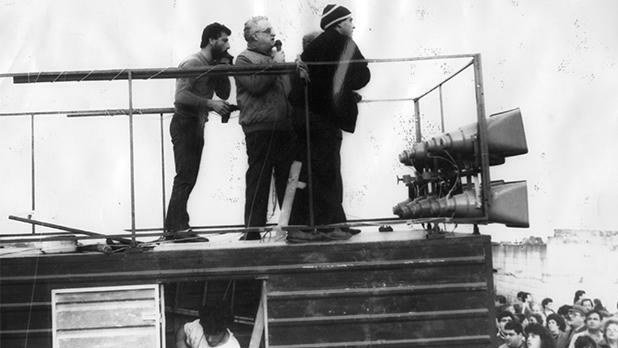 Eddie Fenech Adami speaks from on top of a van at Tal-Barrani. 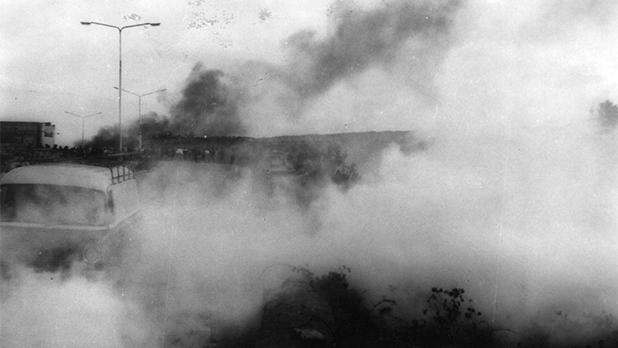 Smoke from a burning car (background) and tear gas (foreground) shroud Tal-Barrani. 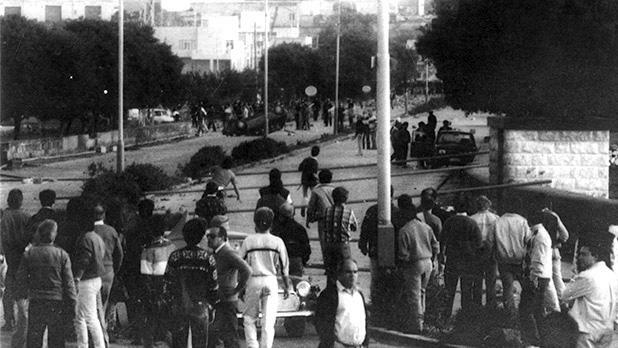 The Tal-Barrani clashes took place 30 years ago today, sparking some of the most serious episodes of political violence in Malta and eventually, a crucial constitutional amendment guaranteeing majority rule. 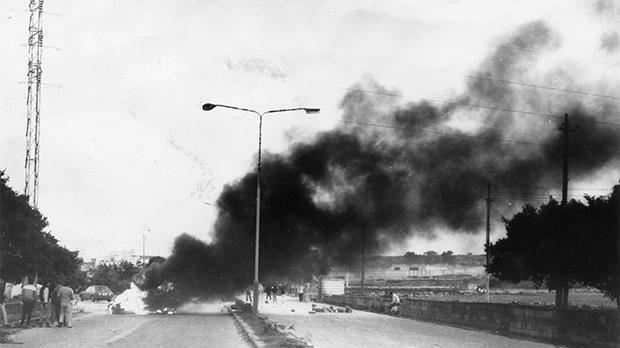 The violence, on the main road leading to Żejtun, was followed within days by the shooting of Raymond Caruana at the Nationalist Party club in Gudja and the frame-up and arraignment of Pietru Pawl Busuttil. The incidents were the most serious in Malta's recent political history because of the then Labour government's involvement in them. It all started when the Nationalist Party decided to hold a mass meeting in Żejtun, a Labour Party stronghold. The Labour Party viewed it as a provocation and the police withdrew a permit that had already been issued, with the government of Karmenu Mifsud Bonnici citing public order concerns. The Nationalist Party insisted it had a right to go anywhere in Malta to exercise its freedom of expression. It went to court and in a tense sitting had its claim confirmed. 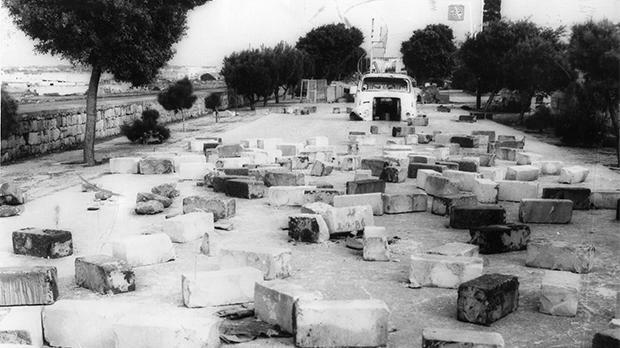 But on the morning of November 30, 1986, as the police looked on, several people demolished walls and used car wrecks to erect barricades all around Żejtun to keep PN supporters out. The Nationalist Party insisted it would go ahead regardless, and said it was the duty of the police to safeguard freedom of expression. Thousands set off on a march from Tarxien towards Żejtun behind a truck, atop which PN leader Eddie Fenech Adami and his deputy Guido de Marco spoke through an array of loudspeakers. 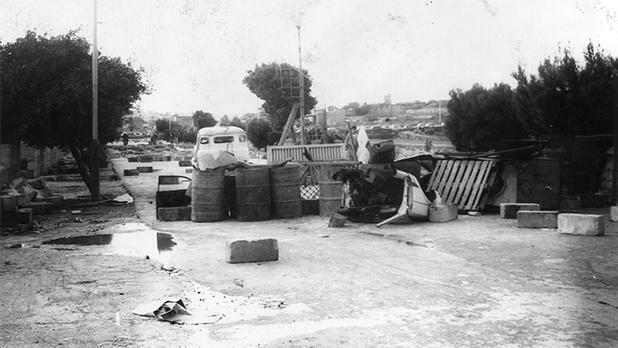 But in unprecedented scenes in the ironically named Tal-Barrani road, Maltese fought Maltese as shots were fired, stones were thrown and the area was blanketed by a cloud of police teargas fired from behind the illegal barricade. Two PN supporters even had the tip of their nose bitten off. The PN supporters retreated, with several people ending up in hospital or health centres. It was a miracle that no one was seriously injured. 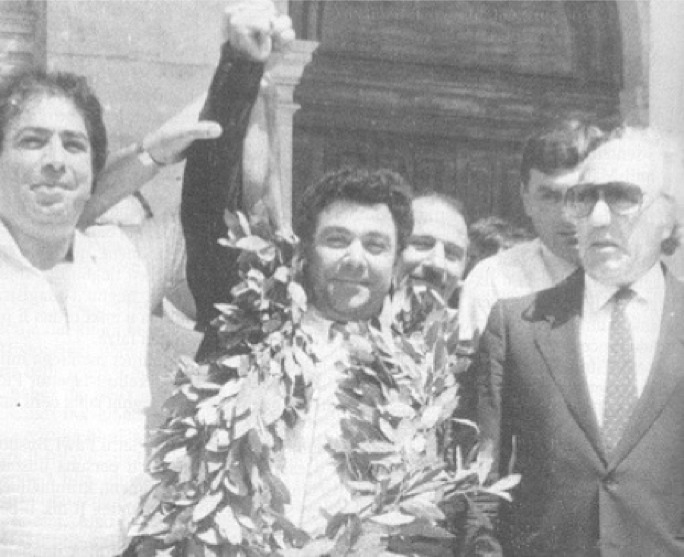 Dr Fenech Adami described the clashes as confirmation that the PN was on course to win the 1987 general election. 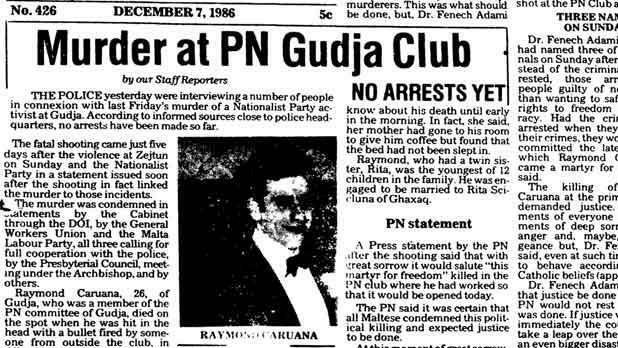 Six days later, on December 5, a young man, Raymond Caruana, was shot dead when an individual sprayed a hail of machine gun bullets through the Gudja PN club. 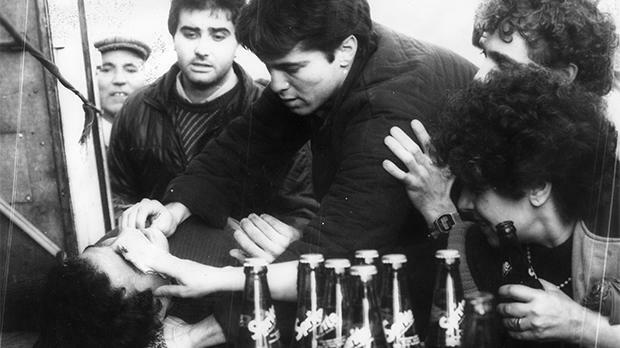 Political tensions had been high since Labour took office in 1981 after winning a majority of parliamentary seats without the popular vote, owing to gerrymandering of electoral districts just before the election. 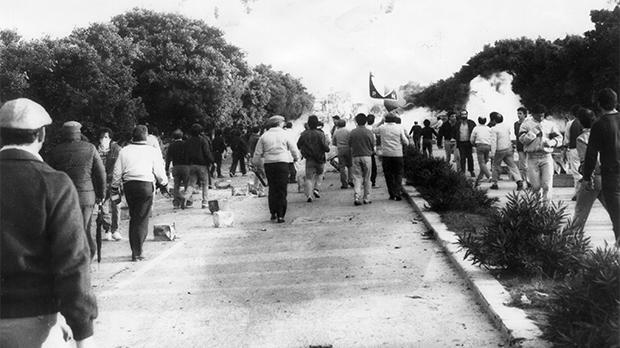 Tensions now reached a crescendo, and it was the old warrior Dom Mintoff who finally acted – two years after he had stepped down as Prime Minister. 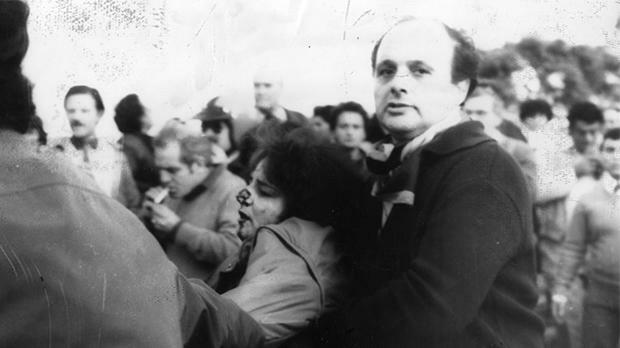 Without having consulted his party, on December 11 he took Guido de Marco’s time in the Budget debate to declare that he was prepared to reach an arrangement for constitutional amendments to ensure there would not be a repeat of the 1981 election result, and whichever party won a majority of votes would be guaranteed a majority of seats in parliament. Pietru Pawl Busuttil celebrates after a court cleared him of all charges and confirmed that he was the victim of a frame-up. Two days later Pietru Pawl Busuttil, a farmer from Safi, was taken to court to be charged with the Caruana's murder. He fainted in the courtroom and was taken to hospital. The police claimed that the machine gun used in the Caruana murder was found on Mr Busuttil's farm. Dr Fenech Adami immediately said the machine gun was planted and that this was a political frame-up – a fact later confirmed by the courts. True to form, Mr Mintoff offered a hard bargain. Along with the majority rule amendment, the PN would also have to agree to enshrine neutrality and non-alignment in the constitution. It was take-it-or-leave-it offer. The PN accepted.